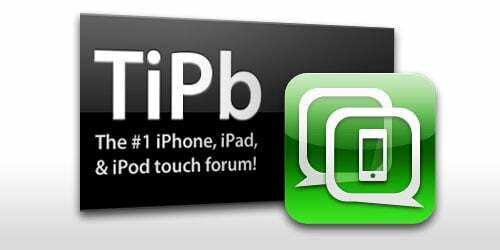 From the Forums is a great way to see what all of the current hot topics are on the TiPb forums. In order to create any new threads of your own or reply to any of the existing threads, you must be a registered member. Becoming a member is a simple process that will only take a few minutes out of your day, so if you have not already already done so, head on over and register now! For your chance to win a $10 iTunes gift card simply post your top 5 most wanted iPad applications in this thread right here. It's that simple and you have until Sunday to get your post in for your chance to win! The iPhone 3G vs iPhone 3GS - what are your thoughts? Was the upgrade worth it for you? The iPhone 4.0 software is only a few short months away, feel free to discuss and speculate all you'd like about 4.0 in the following thread: Discuss the iPhone OS 4.0 software here. In search of some wallpapers for your soon to be released iPad? If so be sure to visit the thread: iPad Wallpapers Collection. Also feel free to post wallpapers you may have for the new device! Lastly for today, if you were creating the next generation of iPhone what is the one hardware feature you'd like to see added?